The Breed Council was formed on the 17 th March 1968. At the inaugural meeting 18 regional Breed Clubs from England, Scotland, Wales and Northern Ireland were represented. It now consists of 22 Breed Clubs. The Breed Council holds two meetings a year – one in the spring, and the other in the autumn. The spring meeting is the Annual General Meeting, where Officers are nominated from the 22 member Breed Clubs. The items to be discussed at any meeting are either proposed by the member Clubs or by the Kennel Club. 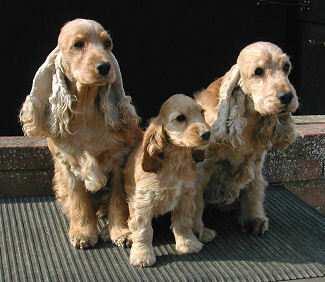 To enable all the member Cocker Spaniel Clubs in the British Isles to speak with a united voice on all matters affecting the breed. To maintain one or more Judges lists.